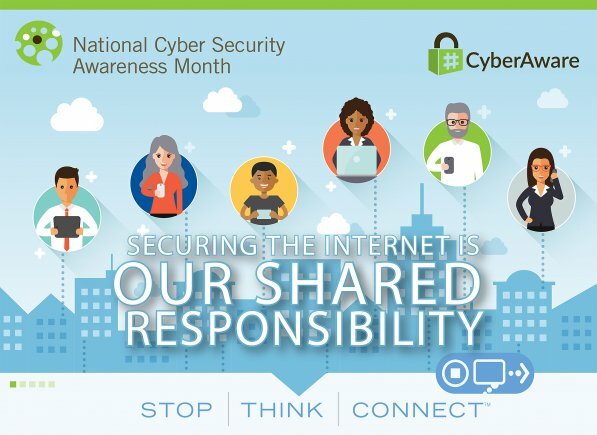 In October 2016, 151 million tweet impressions were made about cybersecurity as a way to celebrate National Cyber Security Awareness month. Computer security continues to be a hot news item due to the recent and continued hacking of well-known organizations. Despite the millions of dollars worth of loss and liabilities at stake, computer security is still not taken as seriously as necessary by more than half of IT professionals across the world. So to honor National Cyber Security Awareness Month this October, update your corporate security solutions with the latest defense mechanisms to combat the latest cybersecurity threats. Protecting your client’s data, or your patients data in the case of HIPAA, is of utmost importance. By initiating or updating data encryption methods through the implementation of self-encrypting drives (SED) and enterprise password management, you will be in a much better position to protect the most valuable aspect of your organization: Your data. A self-encrypting drive encrypts all data to magnetic media and decrypts it when a password is initiated. The SED allows for very strong passwords ensuring data protection of the highest degree is in place. Implementation of single sign-on solutions or single sign-on authentication is the another way to protect your users, logins and your data. Make sure you have implemented a single sign-on solution to help minimize unwanted break-ins to your systems. It may sound elementary, but anti-virus and anti-malware software is a basic, yet essential piece of your overall corporate security solutions. Nearly half of all IT managers have experienced a malware attack in the past year. All company devices, including cellular phones, tablets, laptops and desktops should have the latest versions of anti-malware software installed to ensure computer security. Ransomware is one of the more recent and especially nasty methods of breaching computer security. A ransomware attack locks all your user data and functionality until the ransom is paid to the attacker. If you or your company are victims of such an attack without proper data backup in place, your only option may be to pay the ransom. To combat this…backup your data frequently. By keeping data backed up, you may be able to recover. By implementing single sign-on authentication you can reduce the amount of passwords that users have to remember in order to access multiple systems. You also should require a password change by the users after a set amount of time to ensure that the single sign-on solutions maintain their ability to ensure data protection instead of becoming a way for hackers to get access to your systems.